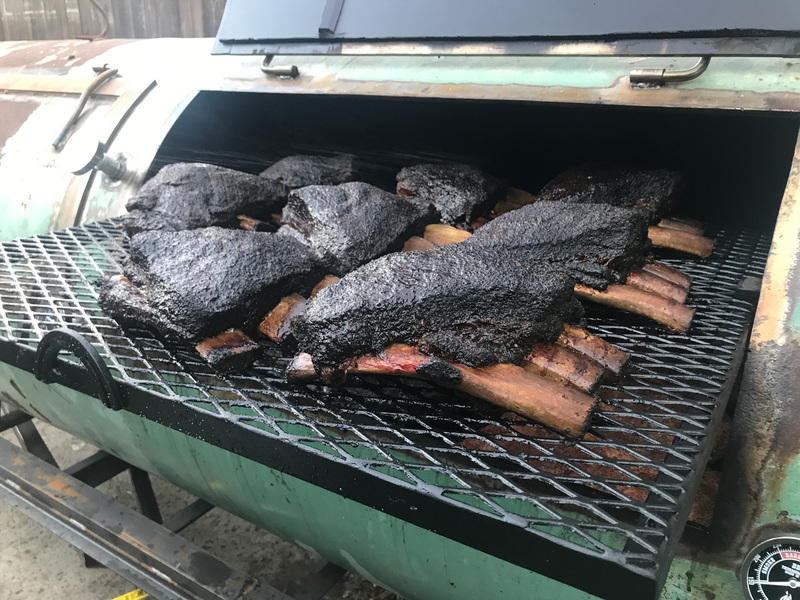 Burt Bakman went from working in real estate to making spectacular Texas-style brisket, beef ribs and pork ribs in his Studio City backyard. It’s late Friday night when a lot of the magic happens in L.A. real estate broker Burt Bakman’s Studio City backyard. By 10 or 11 p.m., there are no longer any planes flying to and from the nearby airport, so things are nice and quiet, and Bakman’s been in his backyard for more than 16 hours. His daughters are sleeping. Maybe his wife will come out to see how he’s doing. Friends might pop by after going to dinner, the movies or the club. On some nights, they’ll bring over snacks or premium sipping tequila and hang out for a while. But on other nights, Bakman might be alone, lying on his hammock, cooking and waiting, knowing that time is on his side. Bakman, the man behind what he calls Trudy’s Underground Barbecue, makes spectacular Texas-style brisket, beef ribs and pork ribs. His food, like all good Texas barbecue, is about smoke and salt and pepper and fat. But above all, it’s about time. Bakman spends a couple hours on Thursday nights trimming brisket. Then he wakes up at 4:30 a.m. on Fridays to do more prep. At 6 a.m., brisket goes into the smoker. It might be done around midnight. Bakman recently got a big custom-built Fat Stack smoker, so he can cook ribs at the same time as brisket. This means he’s no longer pulling all-nighters. In the past, he’d finish smoking 13 briskets and then put in 18 racks of ribs. “This thing can take 40 briskets at once,” Bakman says, marveling at his new smoker, which he’s cooking with for the second time when I visit last Friday evening. Plus, there’s a flat-top surface above the smoke box, where Bakman can simultaneously grill steaks. “It’s just like Benihana right there,” says Bakman, who starts cooking a few rib eyes with Hudson Valley duck fat while we’re talking. A couple of Bakman’s pals show up around 5:30. The friends have dinner plans after this, but that doesn’t stop them from devouring steaks. If you hit Bakman up on Instagram, you might be able to pick up some of his barbecue on weekends. Many of the people who come by are friends or friends of friends, but Bakman is also eager to meet new people. Bakman doesn’t want to keep a distance from people who like his food. Hearing random strangers’ stories in his backyard is one big reason he enjoys making barbecue. He’s been barbecuing for around eight years, after going to Texas and becoming enamored with the area’s slow-cooked meat. For most of those years, he would give away brisket. Nowadays, because he’s smoking a lot more meat than when he cooked with a Big Green Egg, that’s financially unfeasible. So he accepts donations. Bakman’s also been busy doing pop-ups. He’s served barbecue at music festivals and breweries. He’s made brisket bagels inside the Yeastie Boys truck. He’s a man cooking out of his backyard, but he’s clearly going places. This started as a hobby, but it’s become a lot more than that. Bakman’s doing a pop-up at Jon Shook and Vinny Dotolo’s Animal on November 14. He’s working on a restaurant, Slab BBQ, with the H.Wood Group (The Nice Guy, Delilah, Petite Taqueria) on West Third Street. He still has a hard time believing that Shook and Dotolo, two chefs he’s admired for years, came over and dug his food. Bakman is being humble. He knows that barbecue is largely about feel. It’s about understanding the alchemy of slow cooking, the “algorithm of the recipe” and how weather affects things. For Bakman, it’s about spending a lot of time playing around with the formula and figuring out that his meat tastes better when he starts cooking with red oak and finishes with white oak. It’s about checking the temperature of the smoker and the texture of the meat repeatedly. On many Fridays, Bakman will go out to dinner with his family, but he’ll make sure he can come back and monitor the smoker every 45 minutes. Bakman knows he’s missing parties and other events when he’s in his backyard, but he stresses that making barbecue at home is its own special experience. Now that he’s opening a restaurant, he keeps telling himself he’s going to stop spending Fridays in his backyard. But then he decides to keep going because this is just what he does. Bakman, the son of a Russian mother and Finnish father from Israel, knows he’s taken an unlikely path toward shoveling wood into a Studio City smoker. He was, his parents told him, conceived in London. He was born in Rhodesia, an unrecognized state in southern Africa that’s now Zimbabwe. He grew up in Germany and Israel before coming to Los Angeles as a teenager. Obviously, his food memories span multiple cultures. He remembers taking a cooking class as a child in Israel. That was when he learned how to make a shredded carrot salad. 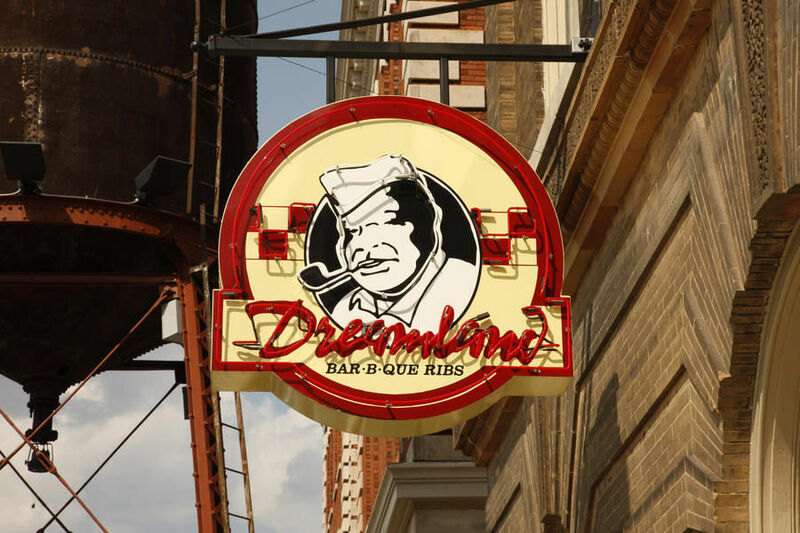 Now he’s also planning to park his new smoker at Slab BBQ, which he and the H.Wood Group aim to open early next year. He’s working with the H.Wood Group’s Maynard Llera, a Filipino chef who was previously the sous chef at Bestia. Between Bakman and Llera, there’s huge potential for multicultural mashups. This collaboration is happening because Bakman was delivering sandwiches to friends around town and brought one to the H.Wood Group’s Brian Toll. Toll and his partner, John Terzian, loved the sandwiches and told Bakman that they wanted to open a barbecue joint. “All I know is I came to bring a couple sandwiches and I have like 20 minutes left on the meter, and these guys are offering me to be a partner in the restaurant,” says Bakman, who still can’t help but be gobsmacked about where his backyard cooking has taken him. Bakman has befriended chefs and restaurateurs all over L.A. On the evening I visit, Wurstküche owner Tyler Wilson comes by to drop off sausages. (Bakman and Wilson counteract their meat consumption by doing Crossfit together.) Wilson’s toddlers happily gnaw on ribs despite the fact they’ve already eaten dinner. On one recent morning when Bakman was in the Yeastie Boys truck, E.P. & L.P. proprietor David Combes stood in a long line before placing his order and telling Bakman about a recent vacation. Bakman admits that he had to get being a total fanboy out of his system when he met Shook and Dotolo for the first time. He told them that he used to make reservations at Animal a month in advance, and they laughed and then they talked to him about food as peers. Bakman also tells me about group chats with great Texas pitmasters, many of whom he’s proud to call friends. He says that Leonard Botello IV of Truth Barbecue has shared a lot of knowledge with him. Clay Cowgill at the famed Snow’s has also been supportive, too. Bakman is also a painter. He’ll sometimes work on a canvas in his garage while meat is smoking. He sees vast parallels between food and art. This is something he brings up a couple times during my visit. We talk about how Austin barbecue king Aaron Franklin, who has his own welding shop, is always crafting things with his hands. (Bakman uses Creekstone Farms brisket because it’s what Franklin cooks.) We talk about how looking at a painting and eating a great dish can give you similar feelings of inspiration and euphoria. I get why he’s decided to spend so much time in his backyard. It’s around 8 p.m. when I decide to head home. Bakman still has several hours in his backyard before he can call it a night. He took a nap on his hammock during the day, so he’s got no complaints. But on this night, Bakman looks in a cooler and realizes that there are a few racks of ribs that still need to go into the smoker.